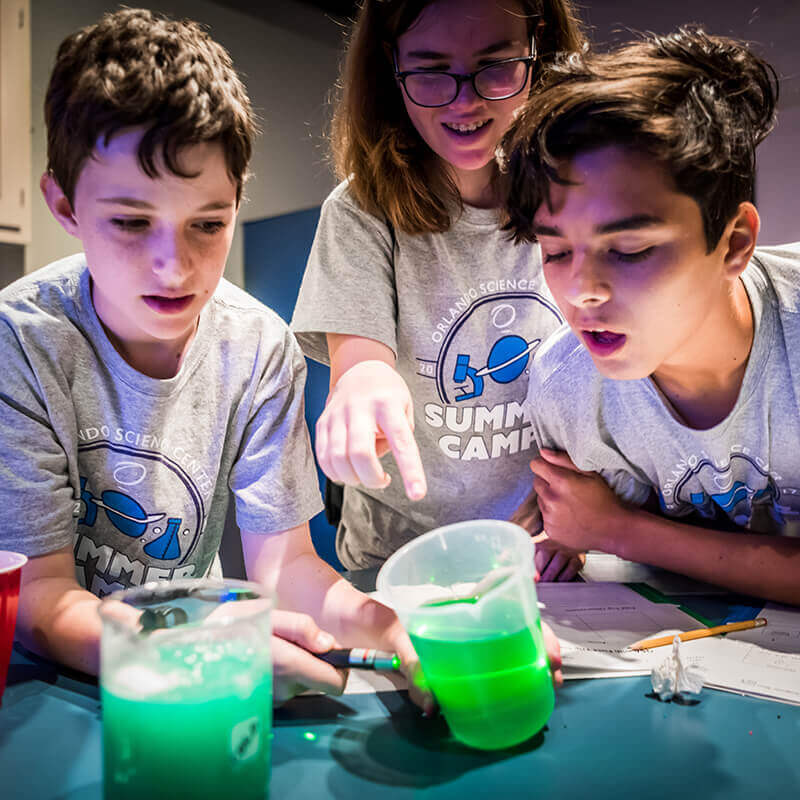 Keep learning all summer long at exciting STEM camps for Preschool* through Grade 9, with topics like chemistry, engineering, nature, and many more. 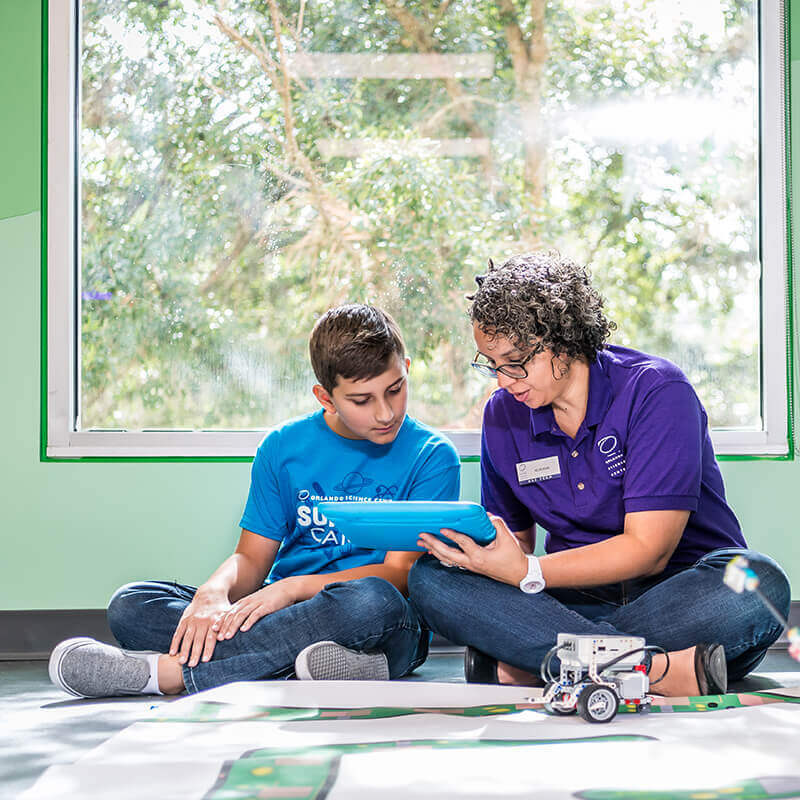 Orlando Science Center offers hands-on summer camps so that children entering Preschool* through Grade 9 can dive deep into their favorite STEM topics while school is out! 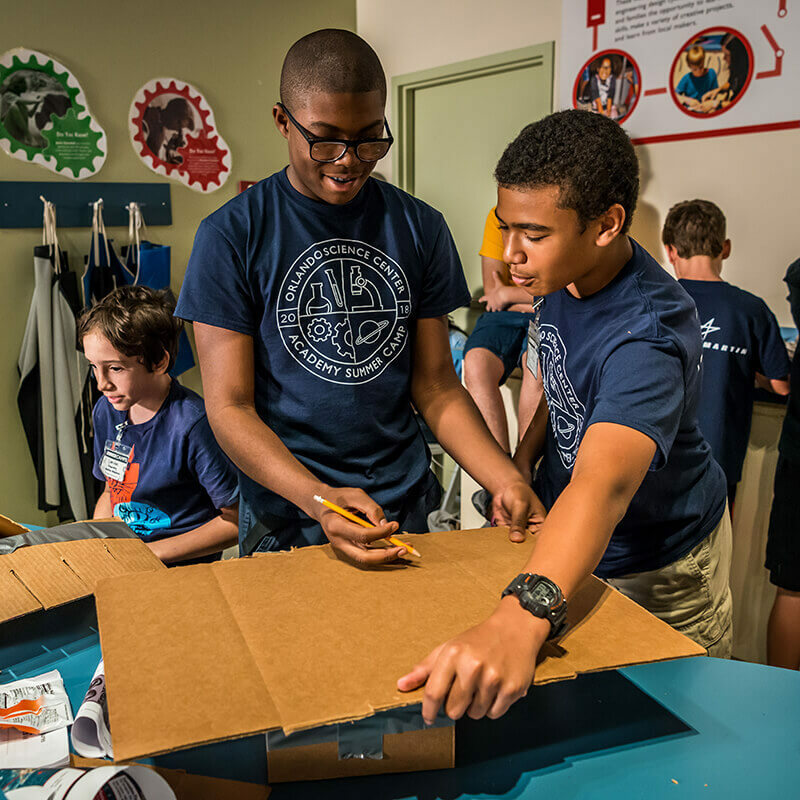 In an age dependent on innovation and creativity, our programs provide children with a platform for cultivating their interests while working collaboratively with their peers to develop lifelong skills that will enrich their lives and future community. 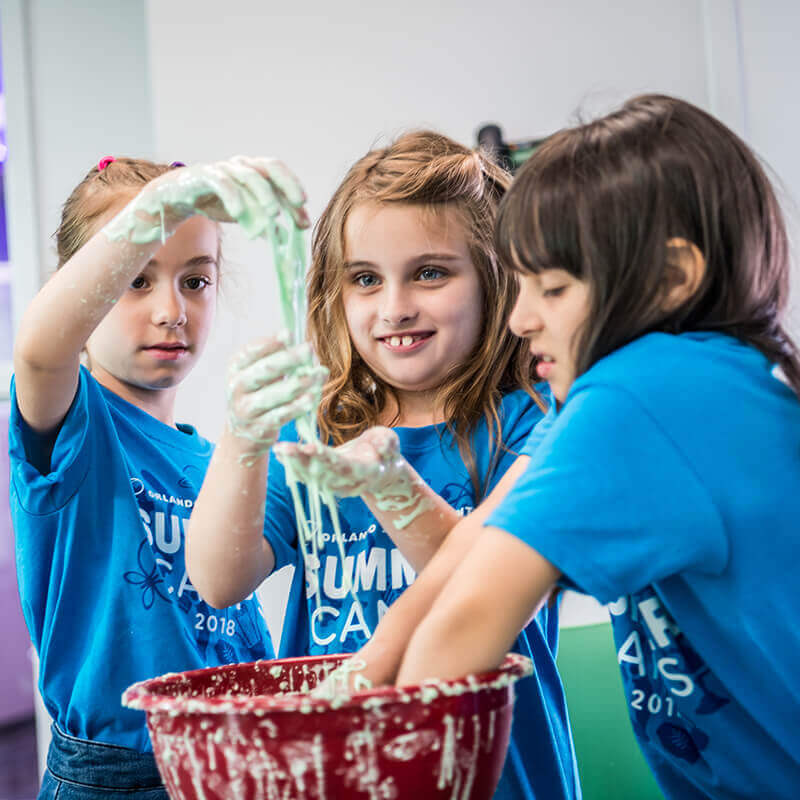 Our summer camps are accredited by the American Camps Association, which adheres to strict policies regarding camper safety and wellness. Registration is now open for the general public. For more information, contact our Reservations Department at 407.514.2112 or classes@osc.org. Become a member today and save on educational programs, including summer camps and more! NOTE: Memberships must be active through the date of the summer camps. Renew your membership today by emailing oscmembership@osc.org or calling 407.514.2158. 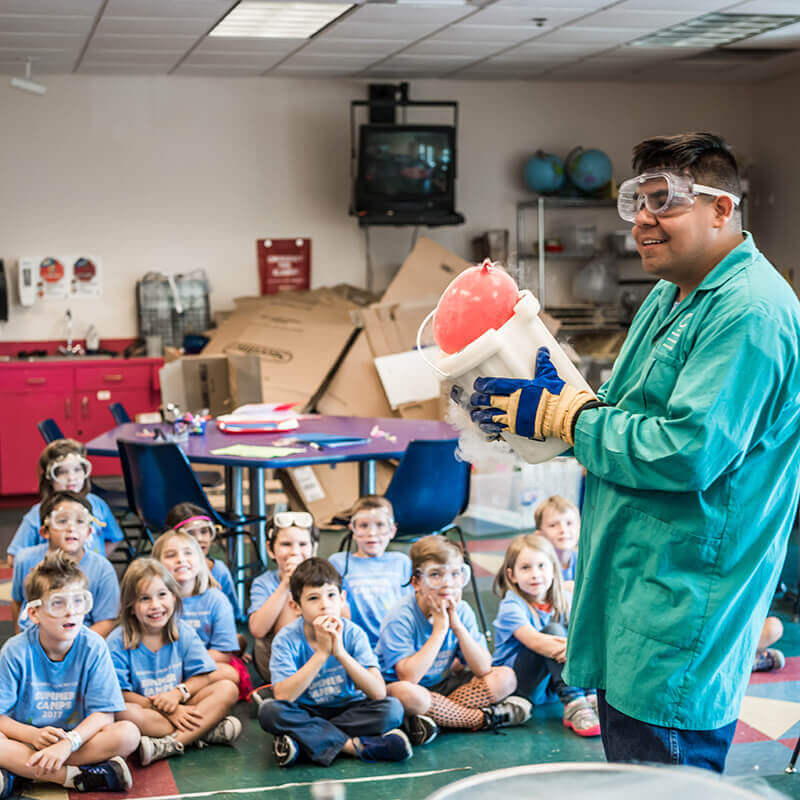 The Orlando Science Center has limited scholarships available for qualifying families for our 2019 Summer Camps. 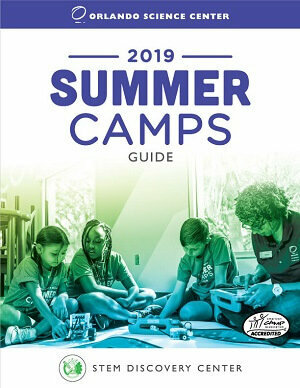 If you have any questions regarding our Science for All Summer Camp Scholarships please contact classes@osc.org or 407-514-2112, Monday–Friday from 8:00 a.m.– 5:00 p.m.
Campers registered for three or more camps are eligible for the new Orlando Science Center Summer Camp Premier Pass! For only $30 per camper, skip the Monday morning registration line and utilize our curb side drop off at Entrance B all week long. With this one-time fee Premier Passholders are issued 3 pick-up passes per qualifying camper valid for the duration of summer camp. Please note: A Premier Pass Terms Agreement is required. Holders of the premier pass will be recognized as an approved pick up person for the duration of the summer. Additional or replacement passes are subject to a $5 replacement fee per pass. Please note, preschool campers are ineligible for the Premier Pass as they must park in the garage and be walked to their classroom by a caregiver. The listings below will be updated as camps sell out or become available. Who Loves Robots? We Do!